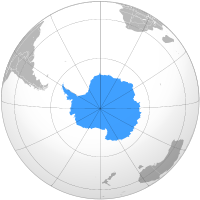 The Antarctic Treaty was signed in 1959 by twelve countries; to date, forty-six countries have signed the treaty. The treaty prohibits military activities and mineral mining, supports scientific research, and protects the continent's ecozone. Ongoing experiments are conducted by more than 4,000 scientists of many nationalities and with various research interests.